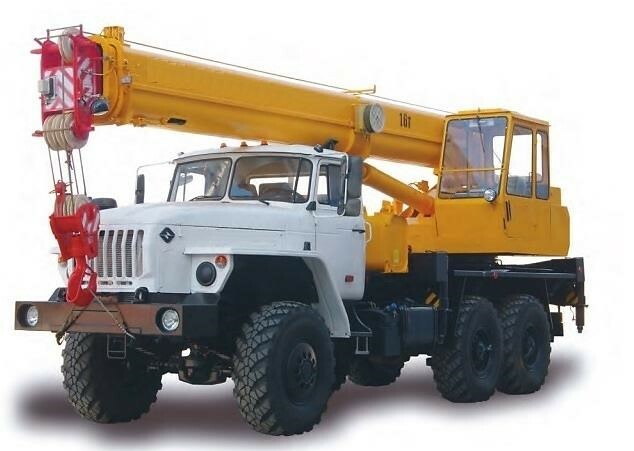 Vehicle with truck-mounted crane of middle class (10-25 tons), intended for work on building sites where weight lifting is required in a limited space. Such truck-cranes have a relatively compact size and at the same time their carrying capacity is enough to perform basic operations. They are indispensable when it is need in construction works on cramped sites and in urban conditions. The control system is of electrical-hydraulic type with a LUDV hydraulic distributor, that makes possible to combine all operations (lifting / lowering the load, raising / lowering the boom, extending / drawing in the boom sections) and operating in a wide range of speeds with high accuracy of their regulation.